As I prepare to commence my presidency of The Florida Bar on June 28, 2013, my adrenaline is at an all-time high with the pride that I have in being a lawyer. Over the past year, serving as president-elect, I have had the opportunity to speak with lawyers from every corner of this state and beyond, and I am convinced that there is no greater profession when it comes to using its skills and resources to positively impact society. One of my greatest joys has been meeting hundreds of lawyers that are committed to our Creed of Professionalism of furthering our profession’s devotion to public service and to public good. However, as new challenges confront our profession, our lives continue to become more complex, and it is during times like these that it’s human nature to look inward to maintain focus on personal accomplishment, and lose our broader view of looking beyond ourselves to help others. Let there be no doubt that the legal profession is going through evolutionary changes. These changes are being driven by external and internal forces. How we deliver our services is being impacted by economic realities and technology advancements. How we communicate with our clients, with the courts, and with each other as lawyers is changing as frequently as the sun rises. Somehow we must find a way to balance our goals of being successful practitioners, while at the same time living a purpose-filled life. The old Biblical scripture of the Book of Luke is paraphrased to say, “To whom much is given, much is expected.” Historically, lawyers have embodied this lesson and helped shape a better world. The legal profession has shined brightly over history as the pathway of justice and equality in our society. The year 2013 is a year of celebrating two landmark events shaped by the rule of law and service of lawyers — 150th anniversary of the Emancipation Proclamation and the 50th year of the U.S. Supreme Court’s decision in Gideon v. Wainwright. These are reminders of our rich heritage and oath of duty. Recently, I was traveling in Washington, D.C., and noticed a banner outside a museum that read, “What you do matters.” When I looked up that poignant phrase on the internet, I found that the banner was hanging outside the United States Memorial Holocaust Museum. It was a clear reminder of the power of one person making a difference, one voice speaking truth to justice, and one hand reaching out and lifting someone to higher ground. During my presidency, I will lead several initiatives that I hope will drive us toward our goals. I have recently completed more than 500 appointments to the Standing Committees of The Bar. I am proud that we were able to accomplish great diversity and inclusion of gender, race, geographic and practice areas. I am also appointing a commission to study the future practice of law. This commission will study four areas over the next three years, including legal education, technology, Bar admissions and delivery of pro bono legal services. Each of these areas will be studied by an individual sub-group of lawyers from the practice, academia, the judiciary and lay people in ancillary areas that impact our profession, such as court administrators. We hope this commission will identify a road map of how we can shape the future of law and not allow outside forces to totally reshape our profession. Lastly, the Bar will be rolling out its inaugural class of the Wm. Reese Smith Leadership Academy. We have 59 Fellows of the Academy who will undertake a one-year curriculum of training and enhancement of leadership skills and networking that is designed to make them knowledgeable lawyers and ambassadors of our profession. I hope that through these and other initiatives, we will fulfill our responsibilities as lawyers and uphold the legacy of the legal profession and be the difference makers this world needs. Eugene K. Pettis, is co-founder of Haliczer Pettis & Schwamm. 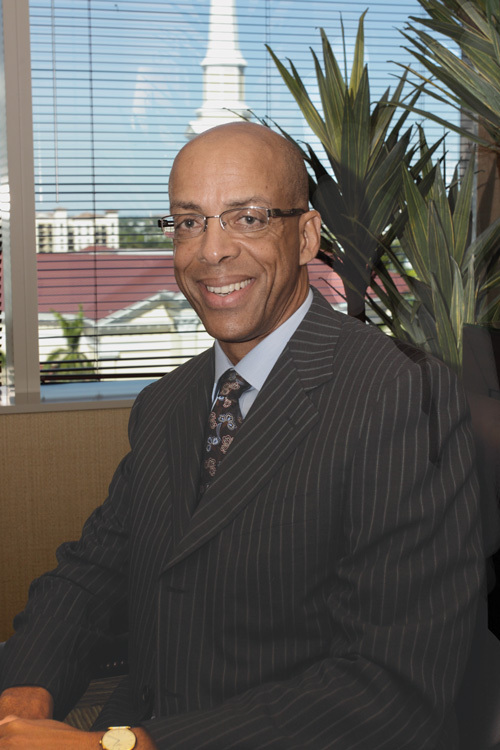 Pettis, who practices in the areas of medical malpractice, personal injury, commercial litigation and employment law, will serve as president of the Florida Bar starting on June 28, 2013.